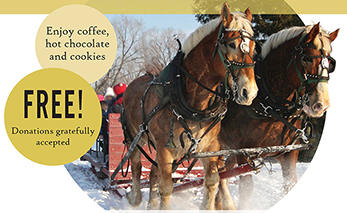 Last February, we ran a successful family sleigh ride through the cemetery complete with hot chocolate and cookies to celebrate Lois Riel day. We’re looking into offering a summer hay ride as well. Drop us a line if this is of interest to you and we’ll notify you of the next event.